RPM Italian’s signature Maine Lobster Ravioli with spinach pasta is one of the restaurant’s best sellers – and for good reason. 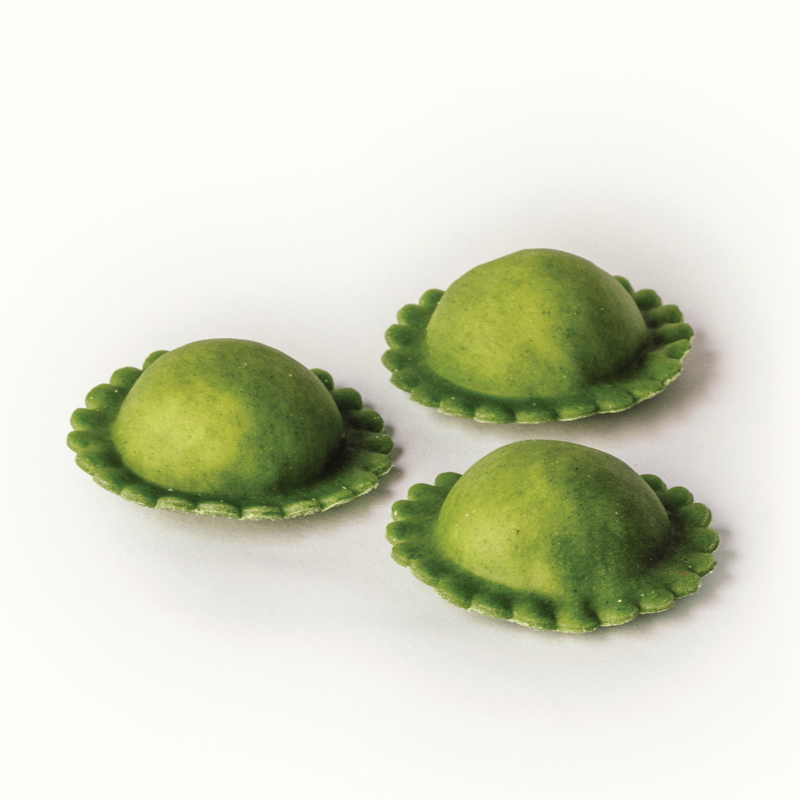 Fresh spinach dough is filled with a mixture of creamy mascarpone and chunks of lobster, glazed in a lobster brodo and topped with fresh basil and lemon. We’re bringing the recipe to you so you can recreate the RPM experience at home! This dish requires three different steps, but we promise the results are worth it. Insider Tip: Start by making the fresh pasta dough, then whip together the lobster filling (which you’ll need for step 2) while the dough is resting to keep things moving along. Prefer to have RPM Italian do the cooking? Click here to make a reservation at RPM Italian Chicago. Click here to make a reservation at RPM Italian D.C.
Order delivery for RPM Italian Chicago here. Order delivery for RPM Italian D.C. here. To download the full recipe for Maine Lobster Ravioli, click here. 1. Place flour on a large work surface; make a well in center of mound. 2. In a small bowl, whisk together spinach powder, olive oil, egg and water; pour into center of well. Using a fork or your fingers, gradually incorporate flour into the mixture until a dough has formed. 3. Roll into a ball. Knead dough (adding more flour or water as needed) until smooth, about 10 minutes. 4. Divide dough in half; wrap in plastic and let rest 30 minutes. 5. Roll out each piece of dough into 1/16 “-thick large rectangles of equal size. Mark out 24 ravioli on one pasta sheet using rounded side of cutter. 6. Spoon 1 Tbsp. lobster filling onto each portion; moisten edges with water. Place second pasta sheet over. Press to adhere around filling, removing any air bubbles. Stamp out ravioli. 7. Place ravioli on semolina-covered baking sheet; rest 20 minutes before cooking. 1. Pick over lobster to ensure no shell pieces remain. Chop into ½-inch pieces. 2. Mix together mascarpone, basil and red pepper flakes; season with salt and pepper. Fold in lobster. 3. Chill 20 minutes. Use to fill ravioli. 1. Cook ravioli in a large pot of gently boiling, salted water until al dente, about 3 minutes. Reserve 2-3 Tbsp. pasta cooking water. 2. In a large skillet over medium heat, add oil, tomato sauce and lobster stock. 3. Add butter and reserved pasta cooking water; stir to combine. 4. Add ravioli and gently toss to coat. Season to taste with salt. 5. 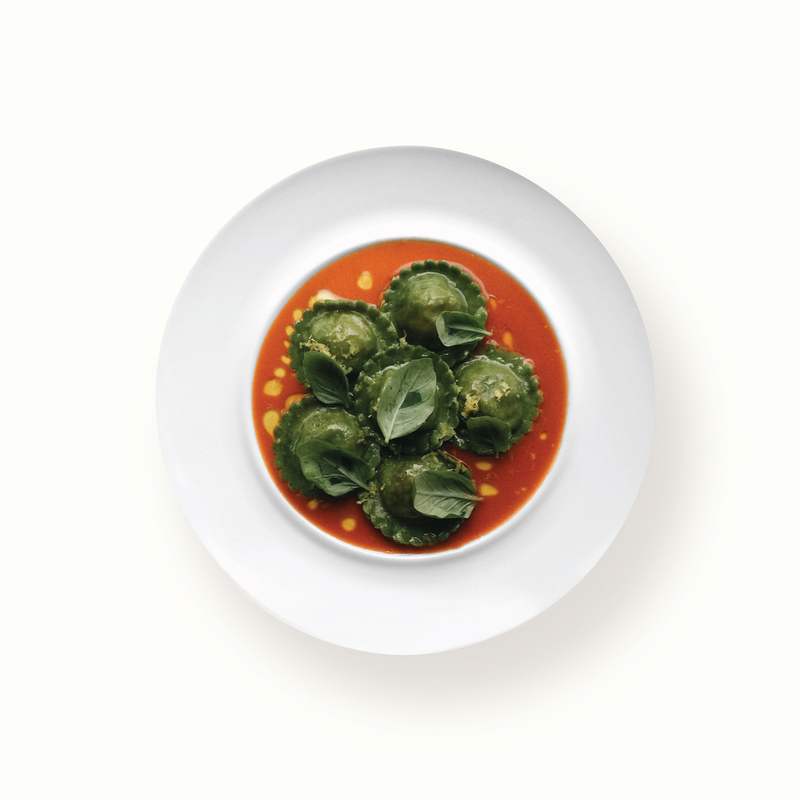 On each of four plates, place five ravioli in a circle and one in center. Zest with lemon; place basil leaves on top and drizzle with olive oil. Looking for more pasta recipe inspo? Try RPM Italian’s Short Rib Bolognese with Hand-cut Papparedelle, click here for the recipe.